It’s impossible for those outside the US to understand just how loaded the “n-word” is, and how much weight it carries. It may be the one word in the English language that has become truly unsayable; what was an uncomfortable pejorative at the turn of the 19th century is now the last (and perhaps the only) truly taboo word in the American lexicon. 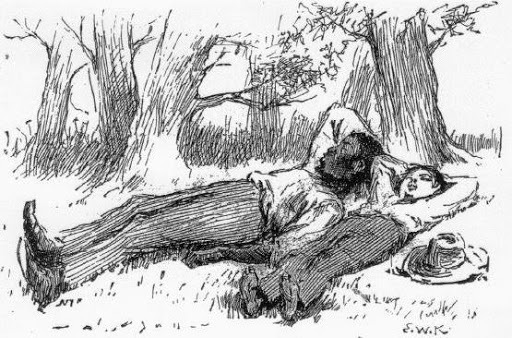 For teachers and parents, the use of the n-word in one particular American classic has caused intense debate and anguish: Mark Twain used the word 219 times in Huckleberry Finn, each casual, offhand instance a reminder of how deep prejudice ran in the Old South. So when Dr Alan Gribben, a Twain scholar, released a new edition of Tom Sawyer and Huckleberry Finn, he knew he would cause controversy with his decision to bowdlerize Twain’s works. “Far more controversial than this reuniting of Twain’s boy books will be the editor’s decision to eliminate two racial slurs that have increasingly formed a barrier to these works for teachers, students, and general readers,” he writes in his Introduction to the NewSouth edition. The other excised word is “Injun”; in Gribben’s edition, the n-word is replaced by the word “slave”, and “Injun” by “Indian”. Gribben’s reasons are solidly practical, and are similar to the reasons why Charles Lamb, several centuries previous, cleaned up Shakespeare’s plays and rendered them into sanitized prose so that they would reach a wider audience. And Gribben explains, “The n-word possessed, then as now, demeaning implications more vile than almost any insult that can be applied to other racial groups. There is no equivalent slur in the English language. As a result, with every passing decade this affront appears to gain rather than lose its impact.” His aim, by editing Twain, is to return the books to school syllabi and to readers who might be made so uncomfortable seeing taboo words in print that they would rather not read these two classic American novels at all. The problem is not with Gribben’s reasoning, but with the general principle—and with the precedent he might set. In the subcontinent, we are perhaps more aware of the dangers of sanitizing the past than readers in America might be. By excising the n-word and softening the “Injun” word, Gribben is making the classics more accessible—but at a significant cost. In order to ensure the comfort of a set of readers, he is in danger of eroding the historical past; of creating a cozy set of books where the full impact of racism as it operated in Twain’s times is lost. Back in the day, when Amar Chitra Katha released its series of the Indian classics in comic book form, it set up an interesting contradiction. The comic books allowed far more readers to access Indian history, literature and mythology; but Amar Chitra Katha freely bowdlerized their versions, and added in their own biases. The skin colour of characters was a glaring, tell-tale sign: rakshasas and demons were dark, gods and goddesses fair, reinforcing one of the uglier Indian prejudices. With abridged editions, some readers are led back to the originals at a later stage. I remember my shock, after reading the sanitized, children’s version of Gulliver’s Travels, at discovering the full breadth and scatological vitriol of Jonathan Swift’s satire. The abridged version of the Travels and the original were so far apart, as with Lamb’s version of Shakespeare’s tales, that they might have been written by two completely different authors. The original was always accessible; but how many readers will bother to access the original? Here’s what Gribben, and his defenders, are missing in the course of the Twain debate. Discomfort, even acute discomfort, is not a reaction that readers should be protected against; literature that makes you flinch, or that might even seem repellent, is almost always literature that makes you re-examine your own entrenched prejudices. And as many supporters of the unexpurgated Twain editions have pointed out, the abridged version can rapidly replace the original, leaving only the most academic of scholars with a faint trace memory of the power of the original to offend. And here’s a final argument against sanitizing Twain. It took about three decades in the US, and almost seven in the UK, for the n-word to acquire its present status as the ultimate unspeakable epithet. All of us, including Gribben, are very much the prisoners of the prejudices of our time. There’s a difference between speaking out against the use of an offensive word or term, and in releasing an edition that changes the writer’s intent. Gribben is cleaning up Twain in deference to the sensibilities of readers of this decade; but in another five decades, those sensibilities may have changed. Make your protest as an editor and reader in the appendices and forewords; but don’t tamper with the text.